Marcus Loke is the production manager at District Eight. Like many of us, he found his vocation by chance. 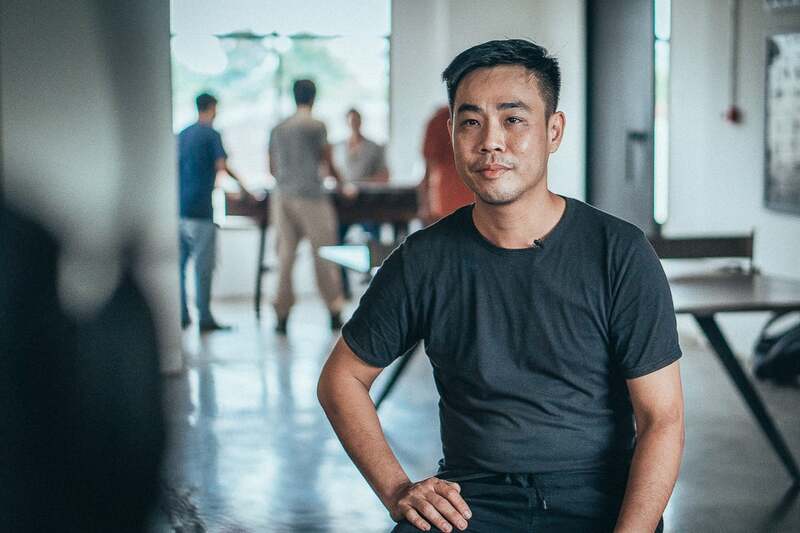 Disappointed by his high school exams, Marcus set off on his bike to the industrial zone near the edge of his hometown in the north of Malaysia to look for work. That journey led to a 20-year career in furniture production. 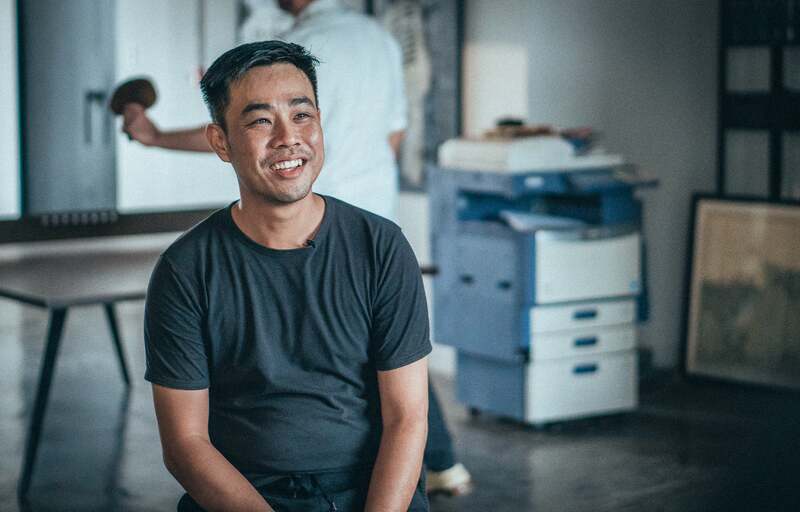 He has worked for a Japanese metalwork and upholstered furniture producer, a Scandinavian design company, a high-risk furniture supplier for the US market, and now, at Vietnam-based industrial-era inspired design company, District Eight, he takes charge of their artisanal production process. So during our recent visit to the company’s headquarters in Binh Tan we met with Marcus. We wanted to know how a chance encounter became a lifelong passion, the pressure and processes of making high-risk items to international standards, and how those experiences informed the production of District Eight’s signature collections and games. What was your entry point into the furniture industry? I’ve been in the furniture industry for 20 years—I started in 1997 when I was 17 years old. I didn’t do well in my final exams at school, so I decided to learn a trade. I got on my bicycle and rode around the nearby industrial area. There I saw a banner outside a big factory saying they were looking for workers. What was your first experience with a furniture factory like? It was a Japanese company who made things like lazy beds using metal and upholstery. The factory was huge, but when I first walked in I only saw five workers. I discovered they had only set up a week before, and I was the only Chinese-speaking Malaysian there. The rest of the staff were Indian and the boss was Japanese—he couldn’t speak any English at all. He only spoke Japanese so he used lots of body language to show us what to do. My work there came to a close around the time of the Beijing Olympics. The cost of metal had risen substantially forcing the company’s relocation to China. By that time, I had worked with that company for six years. Did you remain in the furniture industry after that? The next company I joined was in Kuantan on the east coast of Malaysia. I spent four years with them making high-risk furniture for international exportation—things like baby cots and high chairs. With high-risk items there are a lot of requirements. I ended up with a position in the research and development department. There were intensive checks, strict internal quality control, and test protocols to carry out. We had to send product samples to a certified lab to receive a certificate that showed our compliance. When working with high-risk furniture internal quality control is intense too. When drilling holes, for example, the depth and size has to be absolutely uniform. If anything is off, even by the slightest margin, the whole piece would be recalled. At that time we had 60 Quality Controllers, just for wood, in a company of 990 people. What led you to relocate to Vietnam? 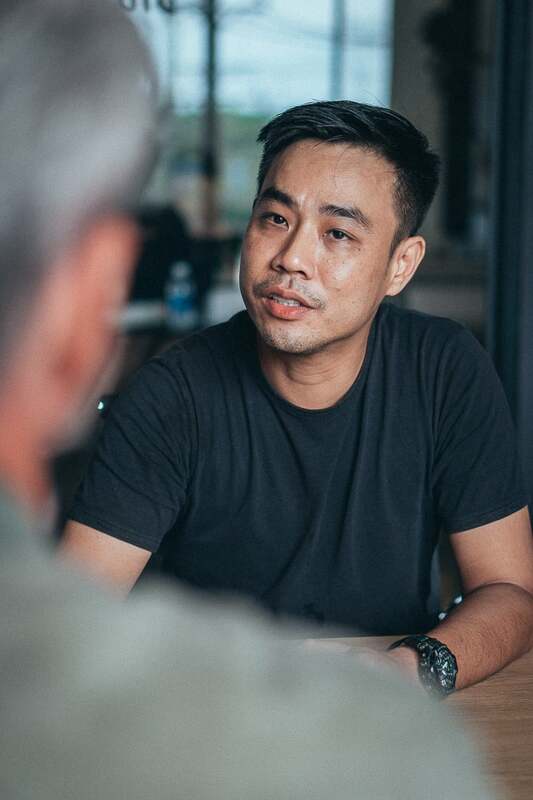 In 2007, I got another offer from a company that was headquartered in Hong Kong, with two countries as options for me to be based in—one was China and the other was Vietnam. But, the company really pushed me towards Vietnam. My role was to ensure our products met the standards demanded by our key customers that included Williams-Sonoma, the fourth largest producer in the US. They made up 40% of our business. Again, the products were high risk, targeted at kids and teens—anything for children of 16 years old or younger is classified as high-risk. I was handling almost 20 factories in Binh Duong and Dong Nai for them. With so much pressure for perfection, and at that scale, how do you ensure staff achieve the standards you demand? Checklists. They are most effective of all. There’s also training too. But no matter how much face-to-face training you give your trainees they might only pick up 50%. So, as well as those methods, the other most effective way is to audit. Besides the Quality Control team, who were focused on detection, we had a Quality Assurance team, who were focused on prevention. QC have a checklist, and they go through it carefully piece by piece. The QA team, on the other hand, would go into the warehouse, open a random box, and check it again. Then they give the box a pass or fail. If it’s a fail, the whole line is rejected. How did you first hear of District Eight? After a period working freelance, I joined PMA, a Swedish company producing furniture similar to IKEA’s. Although it was for sale in Scandinavia, the company was based in Binh Duong, and it was a one-and-a-half hour commute each way. I had two accidents commuting there by motorbike in a year which made me realize it was too far to travel every day. So, I returned to freelancing. I partnered with another Malaysian friend who was an agent. She was working with District Eight which meant I heard a lot about them. I was really impressed with images I saw of their products. When she finally had the chance to take me along, it was really different to what I was used to. This I would describe as French-Industrial design; a completely different combination and concept. They would have a cement base with reclaimed wood, and steel and iron. Even though I’d seen these kinds of designs in pictures this was the first time I’d seen them with my own eyes. And when did your connection to the company become more serious? It was a month later when my friend called me to tell me District Eight were looking for a production manager. Of course, I put my name forward immediately. By lunchtime, I was at the workshop—it wasn’t even a factory at that time. 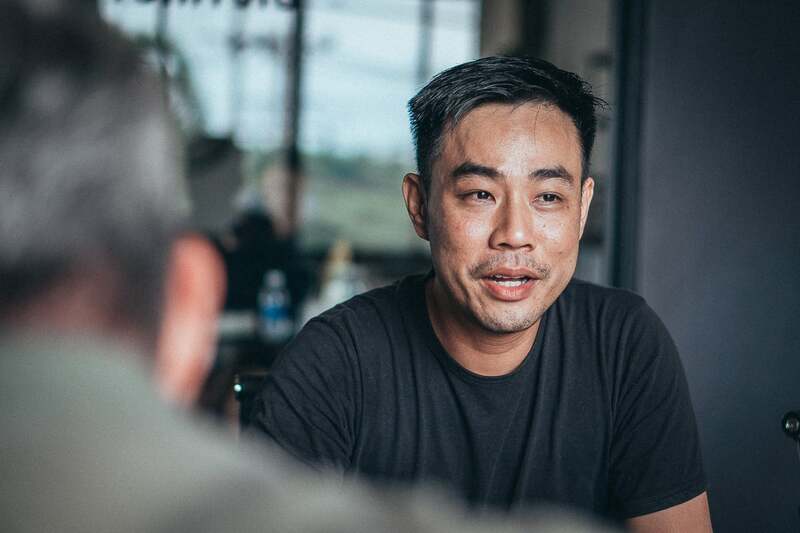 I met District Eight’s co-founder, Darren Chew and the same day I was onboard. There were around 13 workers in the steel production workshop. That was when the workshop was in District eight. We had another group, between 10 and 20, over at our wood factory about 10km away in Binh Tan. And at the time most of the materials and components for the furniture were sourced from local markets. That made the pieces unique, but it wasn’t sustainable. How has the production process changed since you joined? We were mostly making dining tables and dining chairs—the Le Loi and the L’Usine collections. Our capacity was limited by our size and our approach, so very often we worked day and night to fulfill orders, most of which were coming in from North America and Japan. I spent a year there trying to control production. The workers were very supportive. I was the manager but we worked together—if they had to stay back then I stayed back with them, welding, cutting steel, in every department, until four in the morning sometimes. And our sales value was leaping. So whenever we reached a milestone, I would call the office staff and ask them to shut down for half an hour, to come down to the factory to enjoy the moment together. They’d help to wrap the last few boxes to be a part of the finishing touches too. Two years ago we decided to move the workshops here to Binh Tan. It only took us three days to transfer everything, machines and all—it had to be quick, as we had orders hanging there waiting. By that time we had 50 workers, now we have 150. We particularly love the games pieces. How have they developed since you joined the company? What’s the connection between creating games pieces and high-risk items? District Eight were making the games before I joined the company. The first game was the foosball table; then the shuffleboard; then the table tennis and poker tables. The foosball table, for example, is made from aluminum, brass, steel, stone—which is granite—reclaimed wood, and cast iron. The reclaimed wood comes from old buildings, bridges, or railways. The wood is very good quality but it’s getting harder to find and suppliers are going deeper into the provinces to source the materials. Compared to high-risk items, in pieces like the foosball table there are more moving parts. And with high-risk items you have standards to reference. But with a foosball table? Besides the size and the basic elements, there’s no standard. The most important thing is to avoid cutting hazards. There must be no possibility that a customer could be injured. How is having the games in your office developing relationships among staff? The games are really promoting relationships between all the departments. During working hours, staff work individually, often on different floors. At break time everyone comes together to play. We have competitions to find who is the best player among us which is also helping to deepen relationships and help everyone get to know each other better. And, we have to ask, do you have any District Eight furniture in your own home? My apartment’s kitchen is quite small, but I have this big District Eight dining table there. It’s totally impractical but I love it.